In an election that provided a slew of unpredictable turns, the religion vote broke along strikingly familiar lines. More than eight in ten (81%) white evangelical Protestants supported President-elect Donald Trump, slightly higher than former Republican candidate Mitt Romney’s support in 2012 (78%), while Clinton’s share was an anemic 16%. White evangelical Christians made up a sizable part of the electorate comprising roughly one-quarter (26%) of all voters similar to their share in previous elections. Catholics, as they have done in the past few elections, voted for the general election winner. A slim majority (52%) favored Trump, while fewer than half (45%) voted for Clinton. 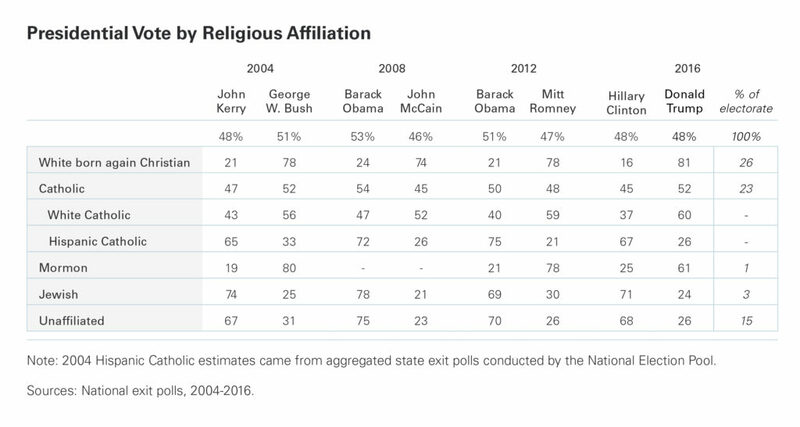 In 2012, Obama had a slight edge over Romney among Catholics (50% vs. 48%, respectively). There are, however, sharp divisions among Catholics by race and ethnicity. Sixty percent of white Catholics voted for Trump, compared to 37% who supported Clinton. In stark contrast, two-thirds (67%) of Hispanic Catholic voters favored Clinton in the election, while about one-quarter (26%) voted for Trump. The Jewish vote also was remarkably similar to 2012. Roughly seven in ten (71%) Jewish Americans supported Clinton, a roughly equal to the number who supported Obama four years earlier (69%). Unaffiliated voters continued their strong support for Democratic candidates. More than two-thirds (68%) voted for Clinton this year, while about one-quarter (26%) supported Trump. Notably, unaffiliated voters also made up a slightly larger slice of the electorate this year, representing 15% of all voters, compared to 12% in 2012. Mormon support for Trump was significantly lower than for previous Republican nominees. Roughly six in ten (61%) Mormon voters favored Trump while Romney, the party’s first Mormon candidate, received the support from nearly eight in ten (78%) Mormons. However, Clinton was not able to capitalize on the defection from Trump, capturing only 25% of the Mormon vote. 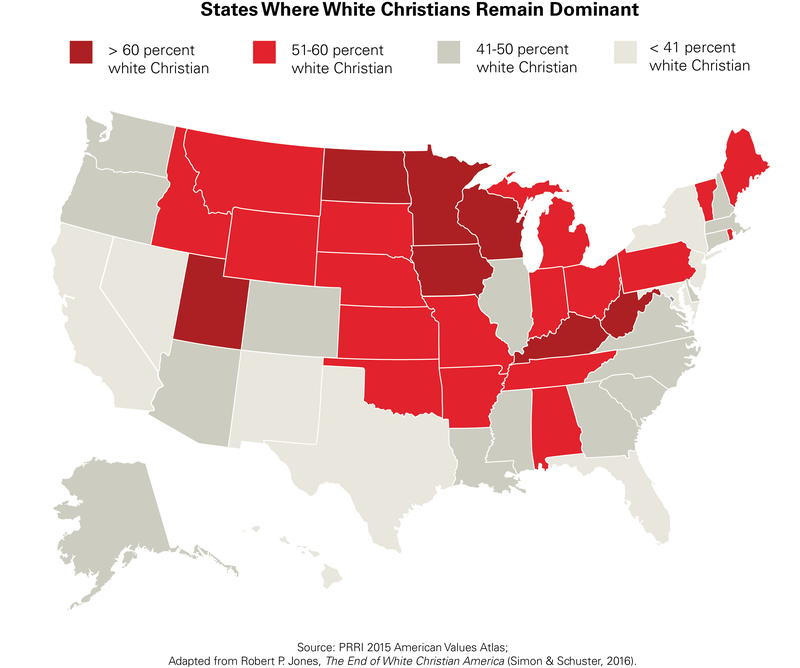 Trump performed well among states dominated by white Christians. 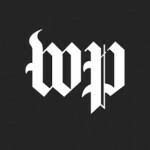 Outside of the New England, Trump won (or is currently leading in) nearly every state with a majority white Christian population, including Wisconsin (63 percent white Christian), Michigan (51 percent), and Pennsylvania (57 percent). The lone exception was Minnesota (61 percent) which he narrowly lost to Clinton.